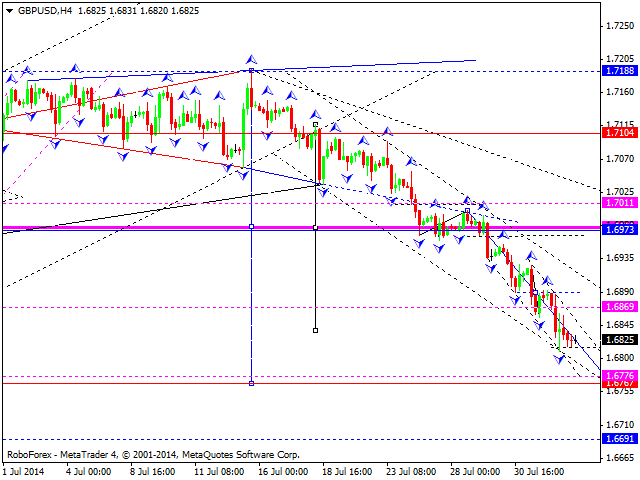 GBPUSD is continuing to move inside descending channel. For today, I expect that 1.6776. After that, I will look for consolidation with reversal pattern and continuation of the uptrend. 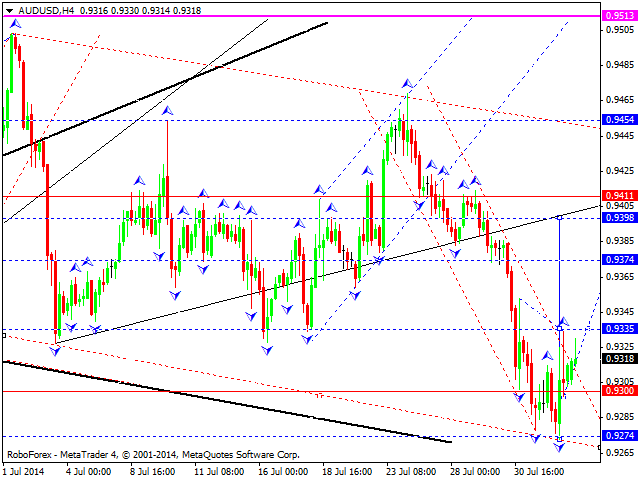 USDCHF is continuing to move within declining wave with target of 0.9030. After that, I will look for price to return to 0.9070. In case it works, I will look for another descending structure with hitting 0.8960. 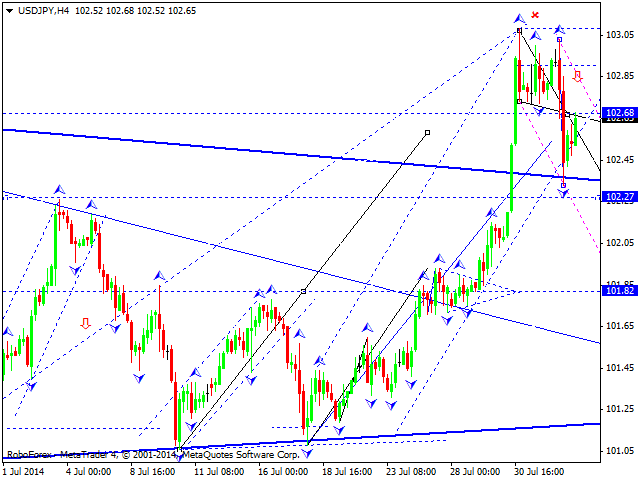 USD JPY «US Dollar vs Japanese Yen"
USDCHF continues to move within descending wave with target of 102.30. After that, I will watch for pullback to 102.70. In case it happens, I will expect another descending wave with 101.70 as a short-term target and 100.50 as an intermediate target. 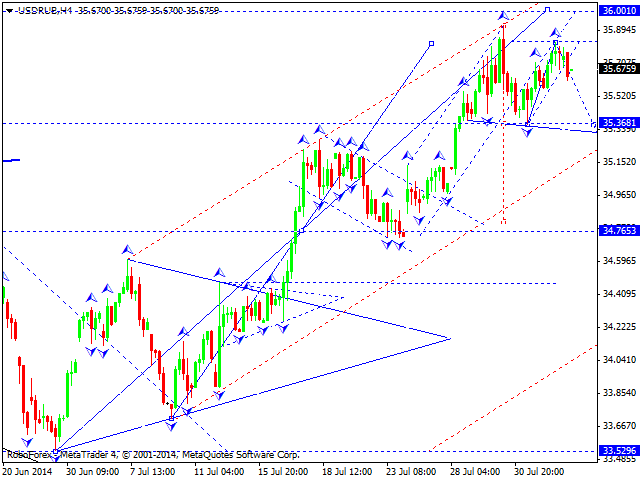 AUDUSD has performed growing impulse with correction. 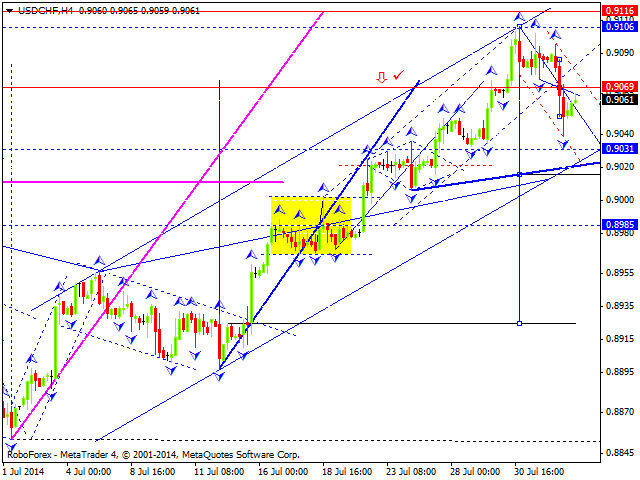 Scenario for today is possible ascending wave with 0.9374 as a target. After that. I expect price to get back to 0.9335. And, finally, I will expect to see another growing structure with 0.9400 as a target. I view chart of Russian rouble as a declining structure with further breakout of 35.36. 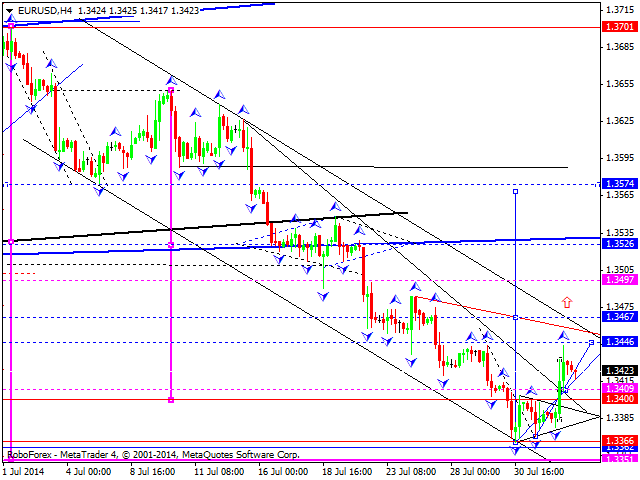 After that I will expect to see resumed downtrend with hitting 34.90. In case it happens, I will watch for test of 35.36 from below. And, finally, I expect to see descending impulse with 34.76 as a target. 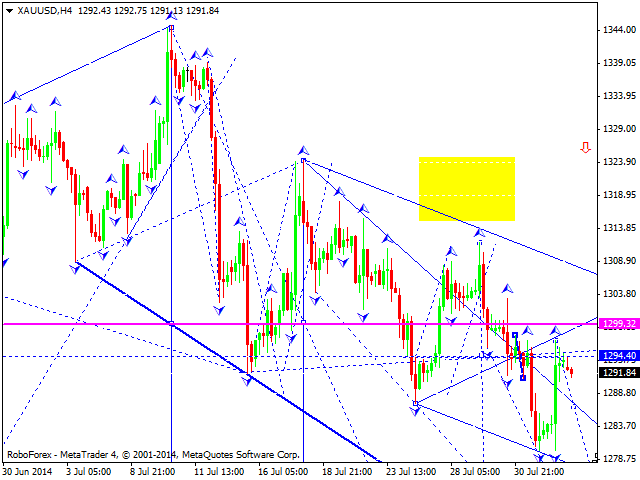 Gold had probably completed its correctional move to 1300. For today, I will expect decline to 1275. After that, I will watch for another possible correctional move to 1300. And, after that, I will expect development of another descending wave with 1255 as a target.